If you’ve ever visited Denmark, you know you can’t walk very far in that beautiful city without seeing a sign for smørrebrød – the popular Danish open sandwich. A traditional Danish food of buttered rye bread with some kind of savory topping, smørrebrød is a fantastic way to start off a meal, perfect for serving as finger food at a party, or even, if you wish, it can stand in as a main course for a simple supper alongside a salad. Traditional toppings for the smørrebrød served all over Copenhagen during a recent visit included raw smoked salmon (gravlax), pickled herring, savory and sweet dill pickles, goat cheese with pear, boiled potato with capers; seared rare beef slices and so on. It was rare to see a smørrebrød that was strictly vegetarian; though I would imagine that in a city of extraordinary gastronomic talent with imaginative combinations of various ingredients from land and sea, it was just a matter of knowing where to look. If you haven’t tried this satisfying little sandwich, you’re missing out! It’s delicious, and the only limit to the topping options is your imagination. Back home, I was preparing finger food for a party of 50, and decided that in honor of my recent trip to Denmark and the fact that the party fell on the day America celebrated Thanksgiving, to combine a little bit of my homeland with a little bit of my Danish roots, and created a colorful and flavorful vegetarian smørrebrød for the crowd to enjoy. 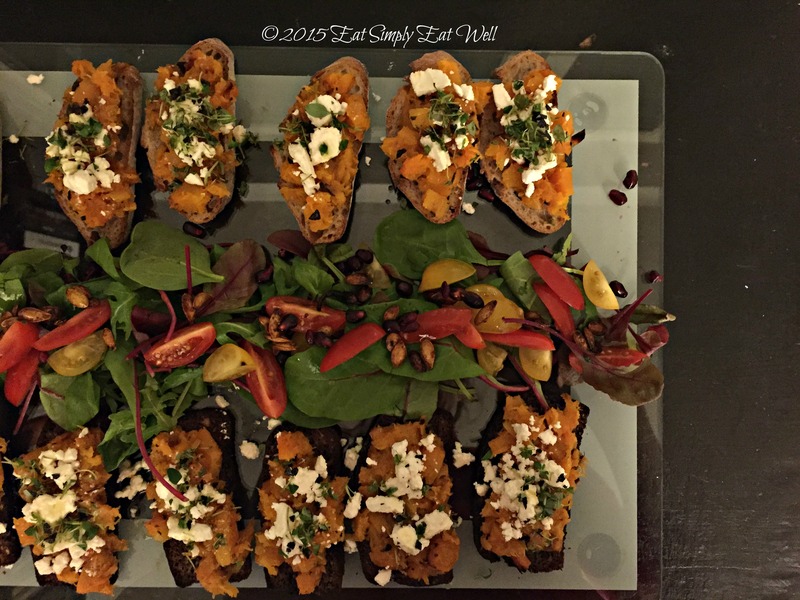 This version includes roasted butternut, feta cheese and thyme over both archipelago bread (saaristolaisleipä) – a sweet rye bread found in southern Finland as well as whole wheat sourdough. Both versions were delicious, and I’d be happy to eat either one, or both, again soon! This dish is great served slightly warm, at room temperature, or cold. 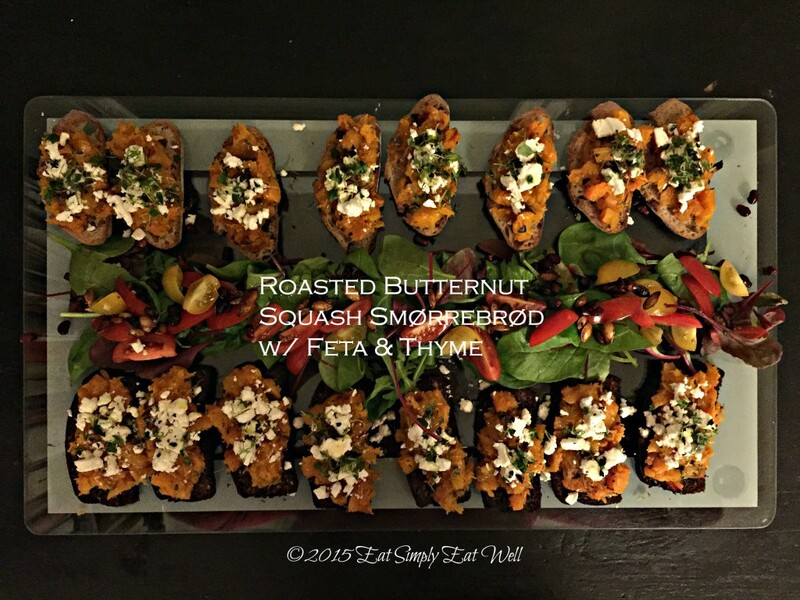 The butternut squash mixture can be made up to two days ahead and refrigerated, but the smørrebrød should be assembled no more than 2 hours before serving. I sprinkled mine with flaky black sea salt, which is an optional but highly recommended addition. Maldon sea salt would also work, as would smoked grey sea salt. 1 loaf of either archipelago bread or wholewheat sourdough, or 1/2 loaf of each. Heat the oven to 200°C/400°F. Line an oven tray with parchment paper. 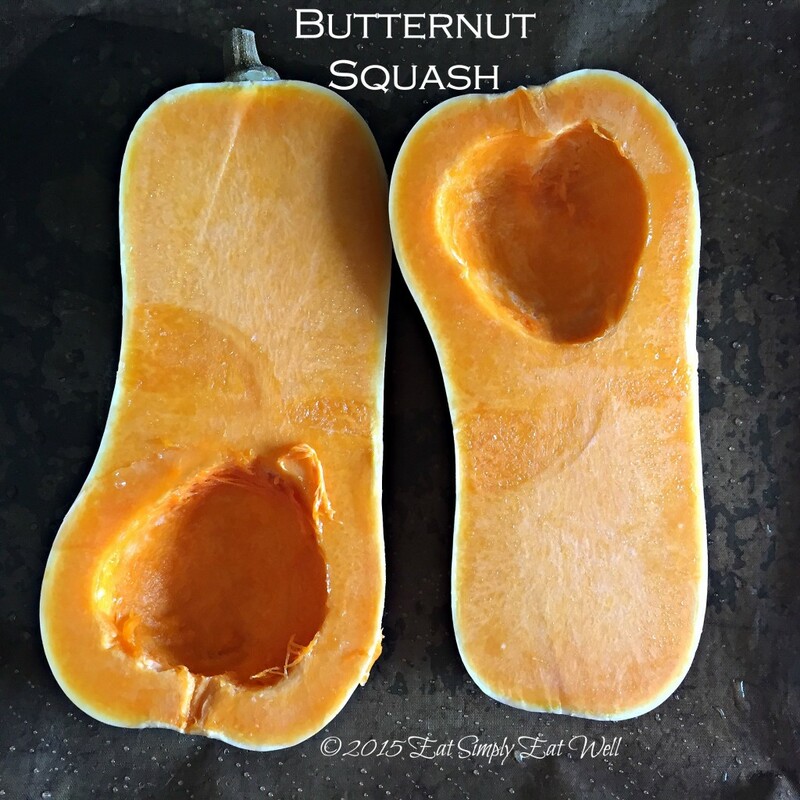 Cut both ends off of the butternut squash and then cut it in half short-ways down the center. Peel both haves. Cut the top half into cubes. Cut the bottom portion in half lengthwise and remove the seeds (save these for roasting). Cut the remaining squash into cubes. 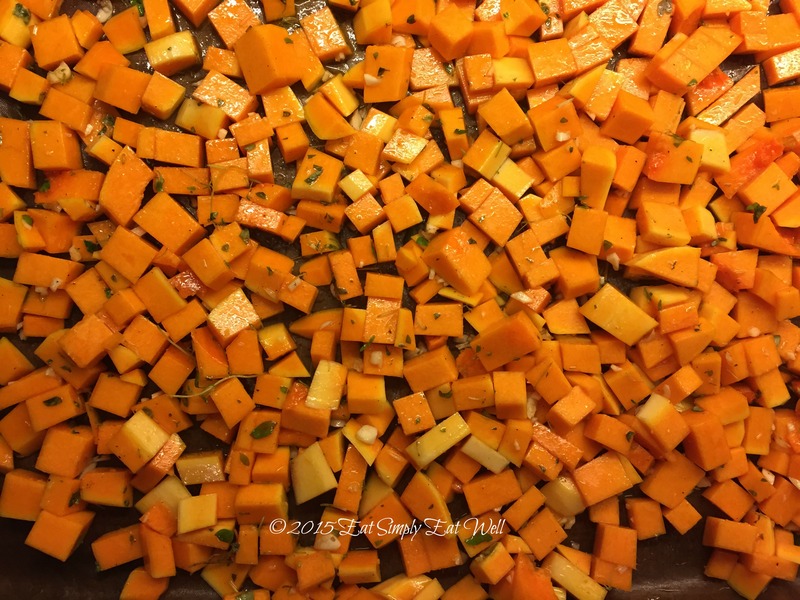 Place the squash cubes onto the prepared baking sheet and sprinkle over the garlic, thyme, maple syrup, olive oil, salt and pepper. Using your hands or a spatula, stir the mixture so the squash pieces are well-coated. Spread the squash out into a single layer, place the pan into the hot oven, and roast for 30-40 minutes until the squash is tender and slightly golden. Remove from oven and allow to cool slightly. Using a fork or a potato masher, partially crush the squash pieces so you have a rough, slightly lumpy mixture. Lay the bread slices out across a tray. Top each slice with a generous spoonful of the squash mixture, spreading it evenly. Sprinkle a little feta on top of the pumpkin, followed by a sprinkle of time, a little bit of sea salt, and finish by drizzling very lightly with olive oil. To serve, lay the finished smørrebrød out on a serving tray, arrange winter greens topped with pomegranate seeds, tomatoes, and toasted butternut sqash seeds down the middle, and drizzle the salad lightly with extra virgin olive oil and balsamic vinegar. « Do you know Greek food? And a recipe for Roasted Chicken. Is it me, or there really isn’t a catalog for recipe in this website. Came across the website on google search and find sone of the recipe beey interestin . However, it’s very hard for me to browse without a catalogue.